Wrinkles for most are an inevitable fact of life. Wrinkles (also known as rhytides), can be folds, ridges, or creases occur in the skin fabric. Fine lines and skin wrinkles typically appear as a natural result of the aging processes. Innova Wellness Spa offers non-invasive solutions for the treatment of wrinkles and other unwanted signs of aging. As we advance in age, our skin gets drier, thinner, and loses its elasticity. Your skin loses its ability to protect itself from damage incurred over time. 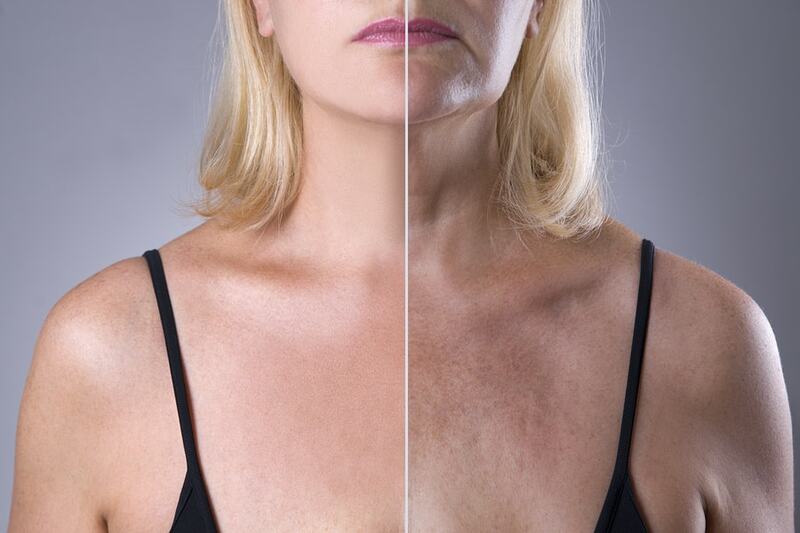 Environmental factors such as smoking and overexposure to the sun accelerate wrinkle development. Innova Wellness Spa utilizes the Cutera xeo® system, an award-winning laser aesthetic enhancement platform geared towards treating the face and body. We resolve fine lines and wrinkles, reversing skin flaws and the effects of time. Our Cutera xeo® with Titan capabilities utilizes safe infrared lighting which heats the dermis just below the skin’s surface, which boosts the body’s natural collagen production process. Light-based treatment heats the dermis just below the skin’s surface, followed by a soothing cooling head for optimal outcome and little or no discomfort. Immediate collagen contraction occurs, and the process stimulates new collagen production over time as well. The result is tighter, more youthful-looking skin. Collagen is a protein vital to your skin, playing a key role in firmness. Over time the body starts to become deficient at producing collagen, which leads to sagging skin and unwanted wrinkles. Infrared light penetrates the skin and boosts collagen production. There’s little to no healing time and none of the risks posed by cumbersome surgeries. Cutera Titan is FDA-approved, and Dr. Elyaman is highly skilled working with the platform. Our non-invasive anti-aging solutions for wrinkles, fine lines, and sagging skin are available to patients inside and outside of our community in Ocala, FL. Contact Innova Wellness Spa today to schedule your initial consultation and learn more about the many ways we can take years off of your appearance without resorting to surgery.